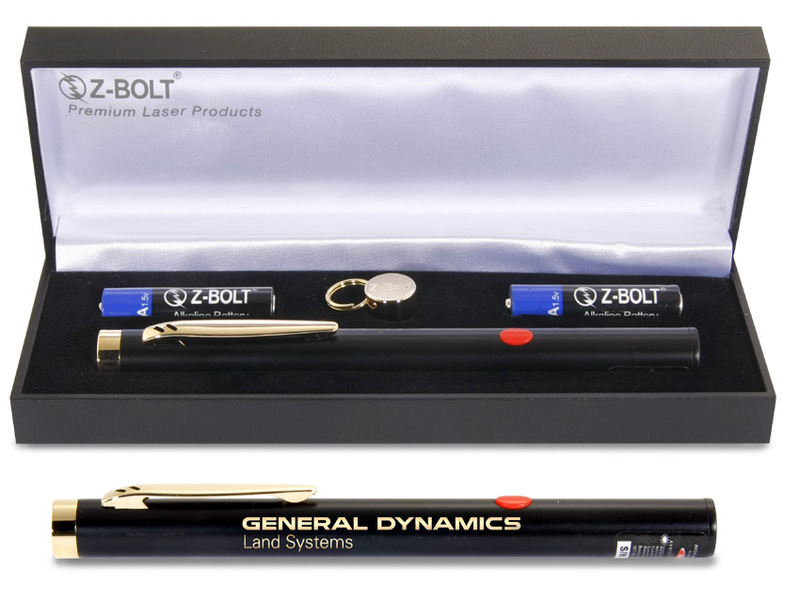 The Z-Bolt® BTE-4E is our engraved 635nm red laser pointer with push button. Brightest FDA Power. Engraving exposes brass for vibrant gold text. 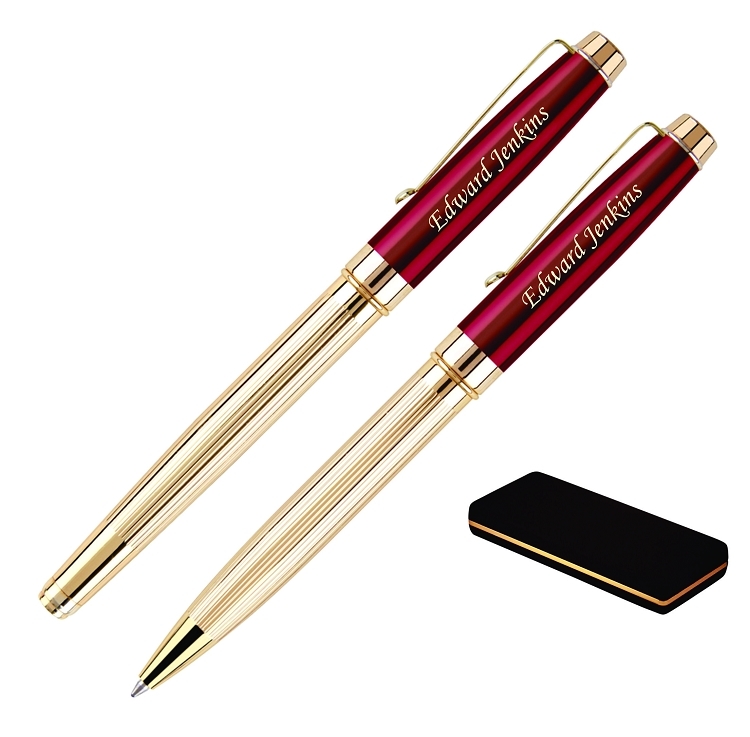 Lanyard & accessory end cap; premium gift case. 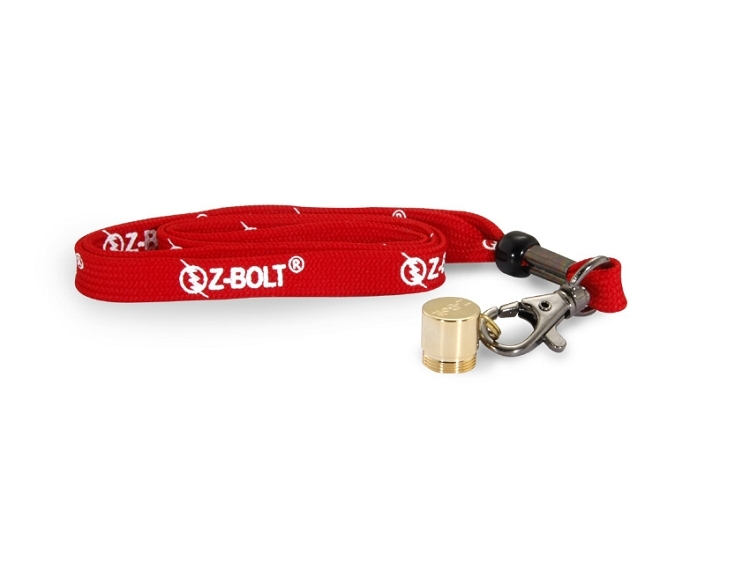 The engraved Z-Bolt® BTE-4E is constructed of high quality steel & brass components and includes a glass lens for superior laser performance. 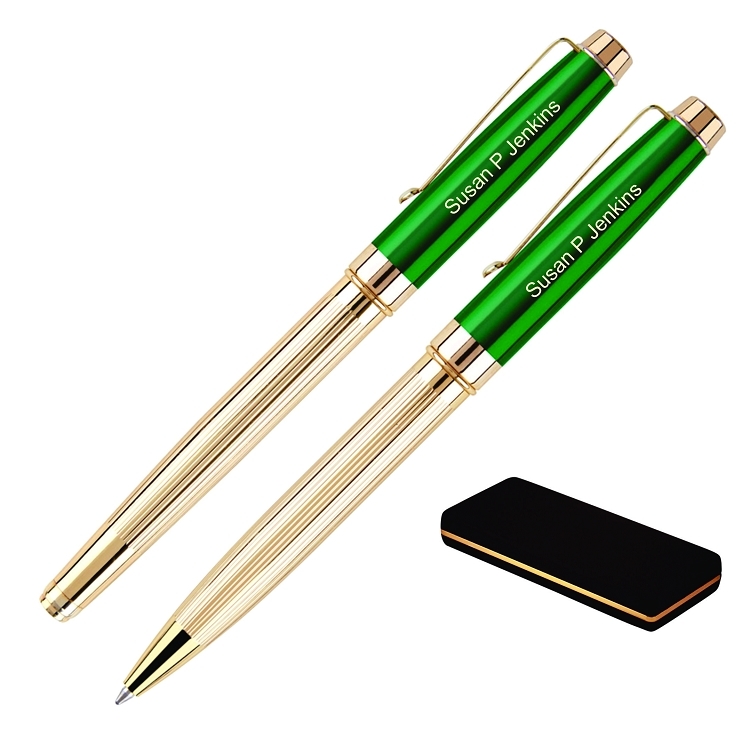 Jet black tube finish; engraves in vibrant gold (exposes brass casing). Activate the momentary push button switch to operate. The BTE-4E emits the highest power 635nm red laser light, projecting a brilliant ruby red laser dot. No comparison to cheaper 645~650nm red laser pointers, (the BTE-4E is twice as bright) the laser has a visible range of 4,500 ft. (Night) The red laser module operates on 2 pcs AAA batteries for superior battery life - fifteen (15) hours constant on operation. 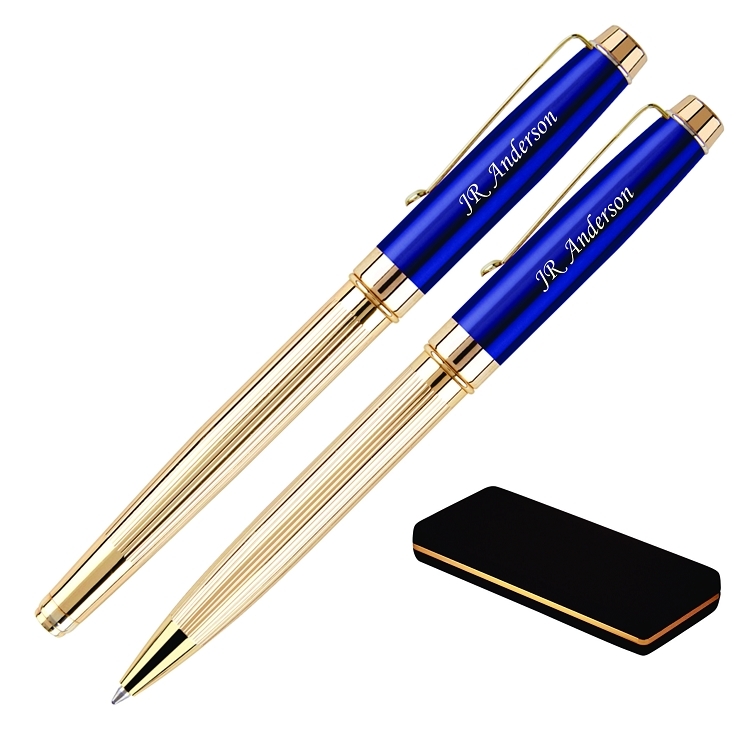 Ships in satin lined carry case; 2 pcs AAA batteries; free lanyard and accessory end cap included.